Click here to download gzipped tar file containing full data set for this object. Go to main NOOS-OBJECT page where info on other "NEW" objects can be found. 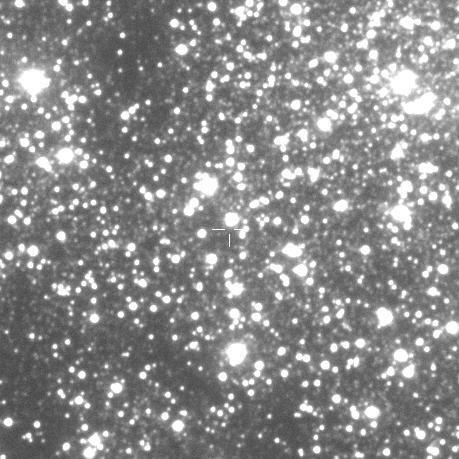 Part of the image when the star was bright. The image size is 1' x 1', East is up and North is to the right. Light curve of the object (available also in Postscript format). Flux equal to 2000.0 units corresponds roughly to I=19.75 mag. 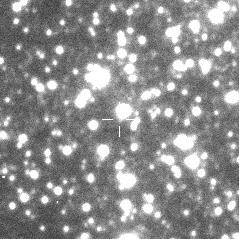 Photometry data file containing 3 columns: Hel.JD, I-band Flux and Flux error.